More of us are entering the second half of our life than at any other time in history. As life expectancy continues to rise, we are living much longer as elders than did our parents and grandparents. These extra years, even decades, extend the blessings of life, yet in many ways we are not prepared to live them fully. Unfortunately, a dominant cultural perspective is that latter life offers only decline, disease, despair, and death. Elders are not valued the way they are in traditional cultures around the world. Instead, they are marginalized or rendered invisible, their wisdom lost to future generations. Neglected, too, are the rites of passage that help us transition into being wise elders, living deep and fulfilling lives. If we each are to embrace these years and flourish in them, we need to consciously shift our perspective. The more challenging our world, the more we need our elders to share the lessons they have learned, to lend us their problem-solving skills, and to enhance our lives by imparting their unique gifts. As elders ourselves, we need to embrace this role for ourselves, our families, and our communities. This online course was written by Angeles Arrien, Ph.D., a cultural anthropologist, award-winning author, educator, and consultant to many organizations and businesses. She was President of the Foundation for Cross-Cultural Education and Research and regularly lectured and conducted workshops worldwide, bridging cultural anthropology, psychology, and comparative religions. She was author of seven books including The Second Half of Life: Opening the Eight Gates of Wisdom, winner of the 2007 Nautilus Award for Best Book on Aging. 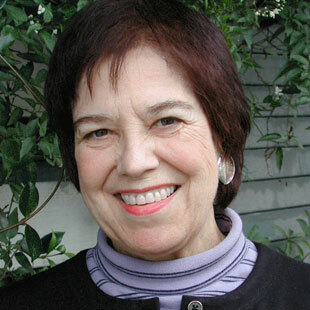 She is profiled in our Remembering Spiritual Masters Project at Spirituality & Practice.